As it is soluable in water the body promptly and completely absorbs it. 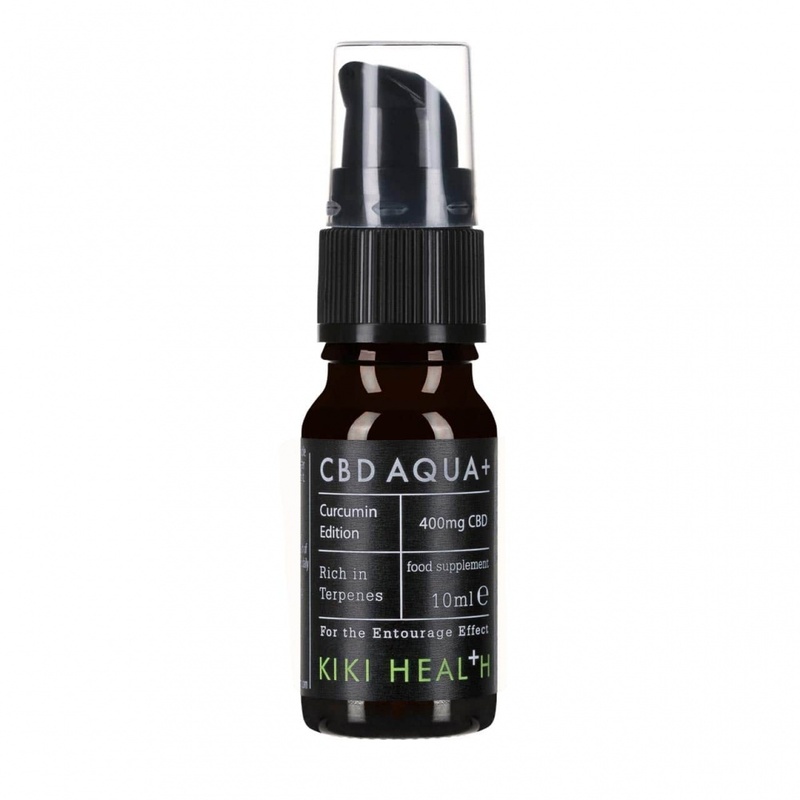 KIKI Health's CBD Water Soluable also contains a revolutionary blend of plant-based active ingredients that have been carefully chosen in regards to how each ingredient works together, and in turn enhance their effectiveness. The unique blend contains; spring water, vegetable glycerin, triglycerides, CBD full plant extract, curcuma longa (95% curcumine) sodium bicarbonate, myrcene, B-Caryophyllene, limonene, pinene, linalool. Contains CBD, CBC, CBG , CBN. CBD Water Soluable comes in a hand held dosage pump and is a very convenient way of taking CBD. It tastes a lot nicer and less potent than the oil, and can be sprayed directly into the mouth or easily dissolved in water or drinks. Put 1 dosage (0.2ml per pump) in a cup of water, drink or spray directly into mouth. Use 1-2 pumps a day unless otherwise advised. Do not exceed 20 pumps per day/in a 24hr period.